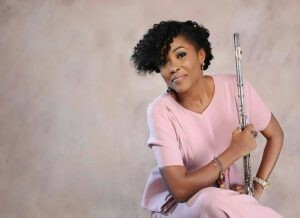 She is arguably the first Nigerian professional female flutist – and perhaps Africa as well. And speaking career wise, Ebele’s journey into the world of music, a combination of contemporary and classics, began some eight years ago. Ebele the flutist, as she is fondly called, has become a brand name in her style of music, and she is sought after at big events involving government, corporate, and private. But all these did not come without a sacrifice. She left a good job in the oil and gas sector where she was well paid, to pursue her passion: music. This reporter was with this woman of noble character in her simple apartment somewhere in Ikeja, Lagos. There in her living room, you find a piano, a bookshelf with neatly stuffed books, a collection of awards, a music player, flat screen computer hung on the wall like a television set, from which she selects videos of her music to entertain you – or other stored movie clips if that is your fancy. in time into her private encounters, in the soul of what can only be the story of Ebele Ezeamakam, each stage of the conversation punctuated by a hearty laugh. She plays one of her classics ‘I Need To Know’, and the atmosphere relaxes into a beautiful mood. Ebele not only has the voice, but her music is also unique in many ways. She also did a song in Benin language entitled, ‘Oghama’ where she uses a combination of the flute and African beats, something she says has won her more fame in Africa and beyond – combining the flute in African jazz concept. “This is why I am actually the first female flutist. There are other female flutists, but they don’t perform beyond their small circle. But I have been able to create a career with the flute in more professional ways,” she attests. Ebele would rather introduce herself as a contemporary gospel musician – contemporary because she is attuned to the current times, gospel because her songs are mostly inspired by God, and for Him; and a musician because she is not only a composer and singer, but also an instrumentalist as well as an interpreter of the tunic sofa. But how long has Ebele been playing the flute contemporarily. Her response: “Eight years going on nine years. But unprofessionally, I have been playing the flute since I was fourteen. It started as a hobby. I remember at six years, I was playing into the recorder. Then I upped my game when my parents exposed me to some Philippines who had come to teach music in our local church. The white woman noticed my high pitch voice and said I would be good with the flute. I saw her play the flute and I liked it. That was how I started, using her own flute. What was the reason her parents gave to allow her to get trained by the foreigners? “It was my dad who discovered my musical gift. He said as a child of five, I would sing nonstop for hours. He even said they would be so disturbed on how a child would sing for hours without pausing,” she stated, laughing. “Growing up, I was exposed to our family church where I sang in the choir – The Apostolic Church. So, I was allowed to be trained by these Philippines not just in music but also in instrumentals. I learned music professionally under the foreigners. “At the exams, I did very well. It was after then that my father bought me my very first flute. I was fourteen then. And ever since, I never stopped grooming. My parents liked it though; they didn’t expect me to make music my career. For instance, my mother says all her life she admires women who wears suit, so she had hoped I would take up a banking job so that I would wear suit like them. “My parents even had to tell me that they didn’t want to hear anything music in the house. They said they only encouraged me because they saw the passion I had for music, but they never expected me to take it up full time. 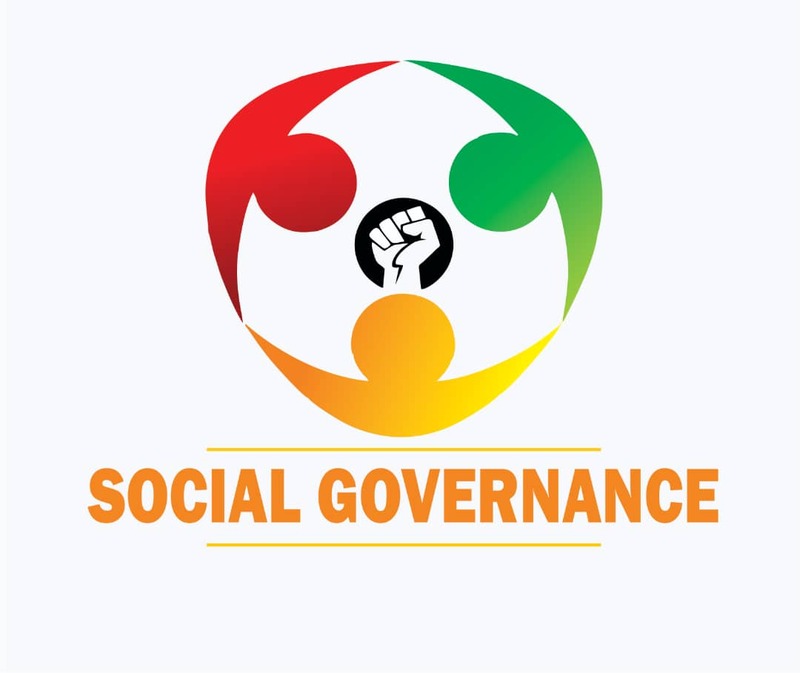 I studied Accounting at IMT, and Business Administration at Benson Idahosa University. After graduation, I worked in an oil firm here in Lagos. I was doing well, and had a section that I headed. I worked there for about eight years. “I was a key person at my job; I was even there when the company started, and I did very well for the company. But the music thing was always coming. What was first a hobby had become a passion. And nobody encouraged me. My boss felt I was not going to succeed. He said people who play the kind of music I was doing were always abroad, and that I do not have the chance of making it here in Nigeria.